Marina Collection situated on Sentosa Island's waterfront just 10 minutes from the Central Business District and within the vibrant hub of Sentosa Cove's quayside community and the only residential site fronting the marina. Sentosa Island is Singapore's premier resort island, encompassing about 500 hectares of unspoiled land, besides having world class Marina it has 2 golf courses, Tanjong golf Course and Serapong Golf Course. Marina Collection developed by Lippo is Singapore's only residential district with an adjoining leisure boating marina containing berths for mega-yachts. 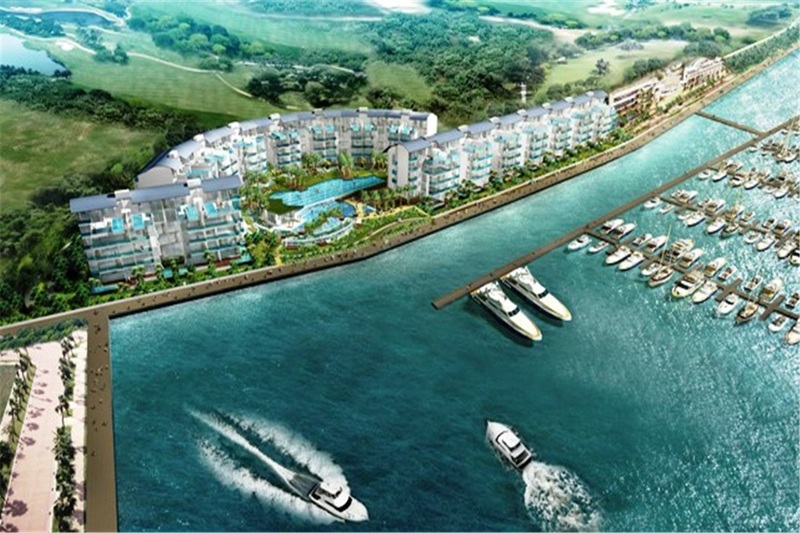 Each of the 124 units will come with complimentary One Degree 15 Marina Club Membership. For Sentosa, the Marina Collection is a four-storey development with "an outstanding concept" taking its inspiration from the Mediterranean and creating a new lifestyle for the privileged.